As an employer, it’s almost inevitable that at some point, an employee will file an unpaid overtime pay or wage claim against you. Just because the burden of proof is on you as the employer, it doesn’t mean you can’t successfully defend a claim that has no merit. The hardest claims to defend are “off-the-clock” overtime claims, which are ones where an employee was off the clock and didn’t report the hours, sometimes claiming fear that they would be reprimanded by their supervisor. Sometimes an employee will make these claims months, or even years, after the alleged work took place. Rather than wait for someone to bring a claim and try to defend it, you can also take proactive steps to try and mitigate any potential risk. Clearly explain your overtime policy during new hire orientation. Non-exempt employees should sign a form acknowledging they understand the policies in place. Review all job descriptions to verify that employees are properly categorized (non-exempt versus exempt). Train your management staff on circumstances where overtime may be appropriate and what the process is for approving it. Update your current overtime policy so that is clearly references when non-exempt employees can work remotely, at home, or anywhere else outside of the office, as a way to reduce any “off-the-clock” overtime claims. Use timesheet certifications or other methods that track clocking in and clocking out. Be proactive in monitoring the amount of overtime your non-exempt employees are working. Update your company’s handbook to reflect the proper procedure for reporting hours, how overtime is managed, and confirm that employees understand that no manager has the authority to tell them not to record any and all hours worked. Review your current Employment Practices Liability Insurance, or EPLI, policies to verify what coverage, if any, exists for overtime claims, including defense costs, indemnity, settlement, etc. If you believe overtime was worked, you should compensate a non-exempt employee for their time. However, it’s important to discuss overtime policies with them and what steps need to be taken the next time before any overtime will be approved. Employees who are non-exempt are entitled to be paid for the hours they work. But, it’s also important they are following all policies and procedures regarding when and how overtime is authorized. If working at home is authorized, they need to have a clear understanding of when that is approved and how they report the hours. As the employer, you should not be in the position of trying to prove something like off-the-clock hours did not happen. Educating employees and your management team can go a long way in reducing the risk of these types of wage claims. 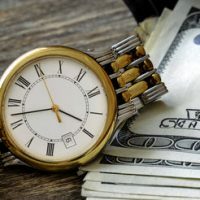 If your company is facing an unpaid wage or “off-the-clock” overtime claim, it’s important to retain a knowledgeable Washington DC employment and labor law attorney. At Tobin, O’Connor & Ewing, we specialize in these types of claims. We can also help you before a claim is presented by making sure your policies and handbook comply with all applicable laws. Contact our office at 202-362-5900 to schedule a consultation.